Peter Edwards Builders Ltd provide high quality home improvement work across the Surrey area. We’re a family run business with over 25 years experience in the building trade. 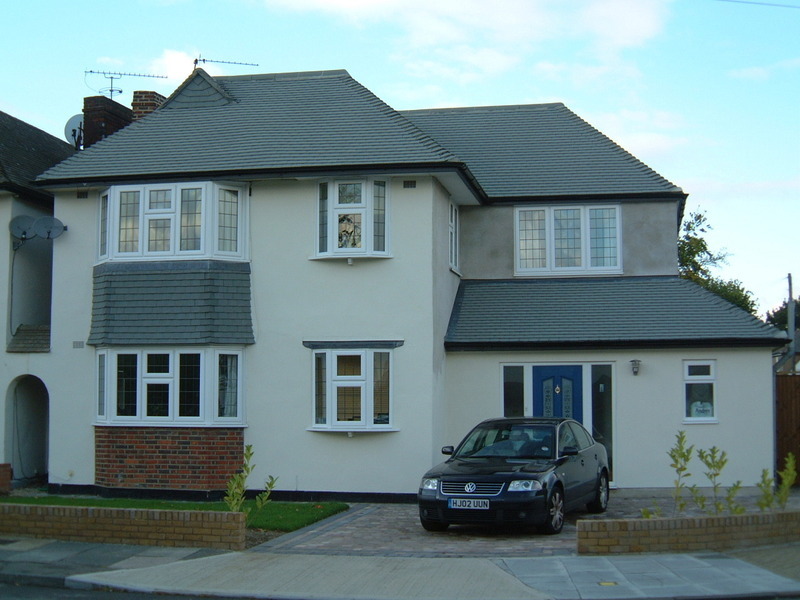 We specialise in loft conversions, extensions, Kitchens and Bathrooms, and have developed a reputation based on our friendly team of tradesmen and the quality of our work. Whether you’re looking to add more space to your home, or a children’s bedroom, home office or living room, we can offer you the best solution to your problem. Whether it’s a loft conversion or home extension, we’ll be able to guide you through every stage of the process, from design to completion. We offer fixed price contracts, we will help you liaise with your architect to gain planning permission, or we can do the plans for you and all of our work is inspected by Building Inspectors. Our tradesmen are fully qualified, INC Gas Safe and NICEIC registered, we are also affiliated member of the Federation of Master Builders. Peter & Nye built a new shower room for us and refurbished an old bathroom. We are very pleased with the result. They had helpful suggestions which improved our original plans, such as : omitting a wall and putting in a shower screen which made the space much more light and open; reducing the size of the hot water cylinder we had planned to install - it would have been much too big. They installed new plumbing to give us a pressurised system; new electrics in the bedroom so we could position things as we wanted. They were there every day without fail and all their work was to a high standard. We would definitely use them again and would certainly recommend them. Peter and his team built a rear kitchen extension for my ground floor maisonette. He also did renovation work to one of the bedrooms and built a patio from the extension leading into the garden. I am very happy with the quality of work Peter and his team undertook. They finished the project on time and everything was done to the price quoted. They were a nice group of guys that were easy to talk to and they gave many useful suggestions throughout various stages of the project. I would happily recommend them to anybody who is looking for an honest, highly skilled builder. Peter and Nye carried out a single storey rear extension, installed a new kitchen and re-modeled the old kitchen area into a utility room plus a wc. Very pleased with the end result and the quality of their work. Peter gave helpful advice from the original planning stage and throughout the build, always accommodating my ideas. He was quick to respond to any queries I had, kept me informed of progress and let me know when decisions would be needed. The work was carried out within timetable. I would definitely use them again and would recommend them to others. Peter Edwards Builders Ltd were recommend to me me and I have used them to undertake various jobs including identifying the source of damp in the loft and redoing the flashing around the chimney, laying a new front driveway, tiling the floor in the porch, installing a kitchen hob, fitting a bathroom shower, bath taps and bath pop up waste. General maintenance both inside and outside of my property. I will continue to use the company and have I no hesitation in recommending them to others for their high standard of workmanship, reliability, friendly and courteous customer services and helpful advice. 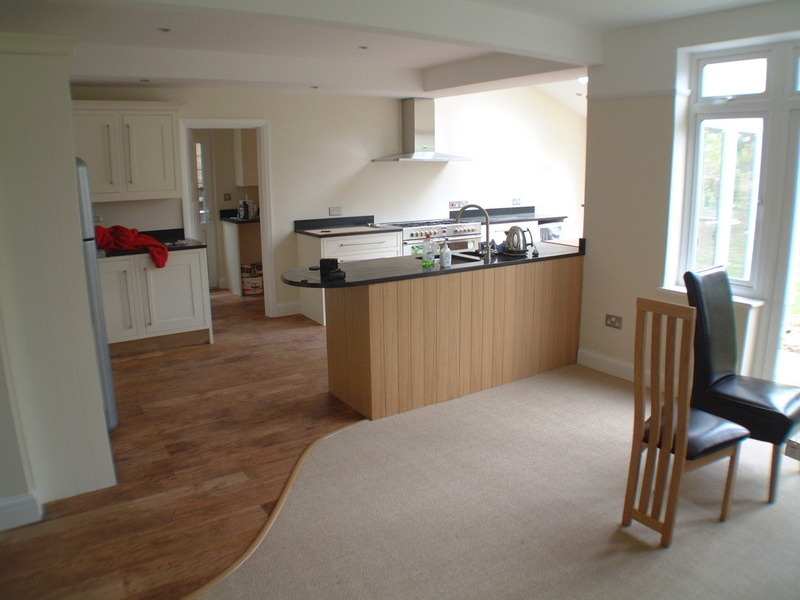 A while ago, Peter Edwards Builders completely refitted our kitchen. We were impressed by their professionalism and their having ensured that the inevitable disruption was kept to a minimum – we always had a functioning kitchen, albeit basic at some stages. Therefore, when we needed work done to remodel our lounge, we naturally returned to the company. Our house is almost 100 years old and some consequent hurdles were encountered, such as having to relay the floor. However, they always came up with possible solutions and overcame the problems efficiently (and cost-effectively), keeping us well-informed throughout. All the members of their team are a pleasure to work with. We recommend them without reservation. I cannot recommend Peter and his team high enough. From the planning right through to the finish, he sorted everything. There was a lot of work going on and the team made sure that the house was left as tidy as possible each evening before they went home. The quality of their work is second to none and if we had ideas on the build that Peter thought would not quiet work, he would talk us through it and explain why. We got a quote for all of the work we wanted doing from Peter and we were quiet surprised that at the end of the job he told us that the build was £5600 less than the original price, due to being able to source some of the materials at a better price. That was very honest of them as we would not have known, most builders would have taken the full amount quoted. Thanks again guys for all you have done for us. We got Peter and Nye to build a first floor side extension on our home creating an extra bedroom with built in wardrobe and decent sized family bathroom, consisting of a walk in shower, a bath plus two double basins and a toilet . With the new boiler and window allowing extra light into the stairwell with the insulated construction making it warm light and inviting. The initial build took approx 6 weeks with my wife still able to work from home as a child minder which shows how, with care and consideration and attention to the environment, it was to be achieved with as little disruption as possible. So I'd like to say a big thank you to James the plumber Adam the plasterer and Peter and Nye for a lovely job. Mike Chris and the girls . We got Peter and Nye to build a first floor side extention on ourr home creating an extra bedroom with built in wardrope and decent family bathroom consisting of a walk in shower plus a bath plus two double basins and toilet .with the new boiler and window allow extra ligjht into the stairwell with the insulated construction making our warm light and inviting. the initial build took approx 6 weeks with my wife still able to work from home as a child minder which shows how with care and consideration and the attention tho yth3e enviroment it was to be achieved with as little disruption as possible. So i'd likje to say a big thank you to James the plumber Adam the plasterer and Peter and Nye for a lovely job Thank you Mike Chris and the girls . A pleasure to work with such a team of professionals. From the get-go Peter and his team highlighted the potential opportunities and risks of each step along the project in a straightforward manner. Attention to detail was given without compromise to timescales. Peter and his team were able to work efficiently and without creating undue disturbance with either noise, dust or to daily routines in the house. Creativity was also necessary and achieved in delivering a specific project plan which included a bespoke staircase leading to small children's play area above. I would recommend Peter and his team to anyone looking for a fair-priced local builder who is keen to give the customer what they desire whilst also able to direct them to the next best solution if this is impractical.